My face wash gets over really fast in summers because I wash my oily face thrice a day. This time I got Anherb Natural Turmeric & Lemon Face Wash. I have already reviewed its Sun Screen on R&W. Packaging - Anherbs Naturals face wash packaging is similar to that of its Sun Screen. 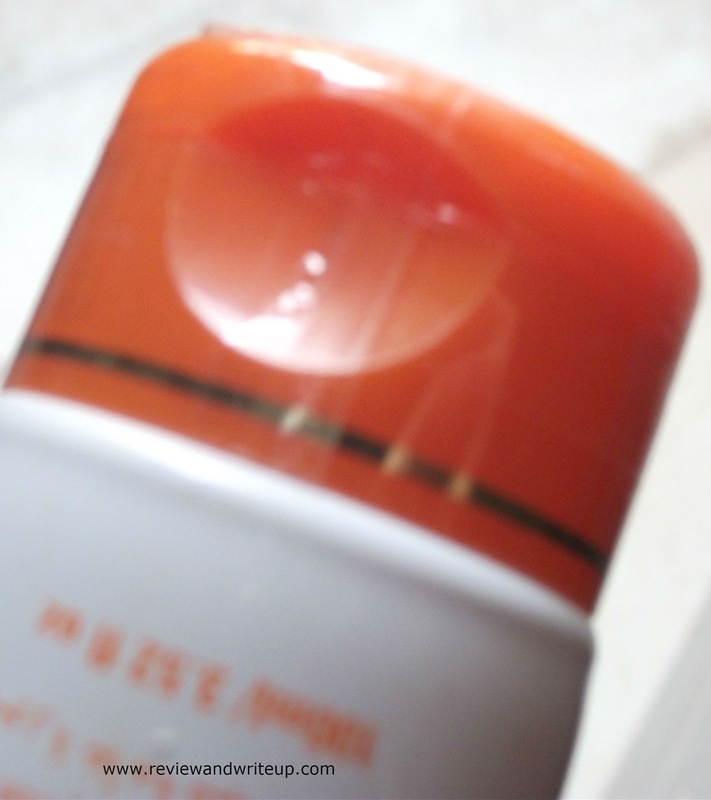 Face wash houses in a shiny white - orange color combination tube. Its orange cab is sealed with plastic cover to ensure product safety. I really liked this concept of tucking orange cap in plastic cover. Claims of brand - Brand claims that Lemon in facewash removes excess oil & provides toning thereby reducing oil secretion. Turmeric improves complexion. My Experience With the Product - Anherb's face wash looks like a gel and its very easy to squeeze out right amount from the tube. I take a little on my palm, wet my face and apply in circular motion all over my face. It lathers well, also washes away easily with two-three splash of water. Face wash has mild fragrance of turmeric and lemon. The face wash is for people with normal to oily skin. Mine is oily one, when I washed away my face with this face wash my face stayed fresh for more time than it usually is with other face wash. Especially sides of my nose and T zone gets really oily in summers. Anherb helped my skin in staying oil free for quite some time. Now you must be thinking that it makes skin dry, no it doesn't. I didn't felt need to apply any cream or lotion after wash. Also my skin stayed matt for long. What more one could ask for. Its regular usage will definitely bring glow to face, but that period could be long say after a month only you can tell. A little goes long way and is reasonably priced.